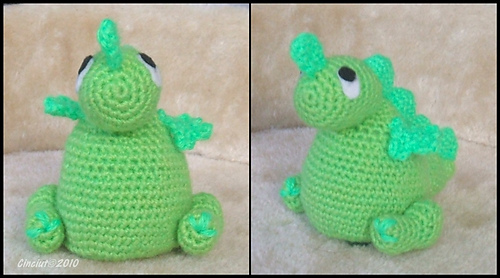 Amigurumi Crochet pattern – instructions to make a Dragosauro doll using 3mm crochet hook with Amigurumi technique. Finished doll is approximately 12cm high and 10cm long. The size of finished doll depend on how you stuff and on your choice in material (Yarn, Crochet hook).